As a watercolor painter plays with water, colors, paper and brushes, Jean Toba plays with the sounds of an acoustic guitar, the song of birds and his keyboard. With a medium tempo, the piece comes in the manner of a classic work but with contributions, additions, and very contemporary winks. Know that his cat has directly participated in the composition of this feline opus. As a watercolor painter plays with water, colors, paper and brushes, I play with the sounds of an acoustic guitar, the effects of bird songs, and my keyboard. The track comes in the manner of a classic work but with contributions, additions, and very contemporary winks. 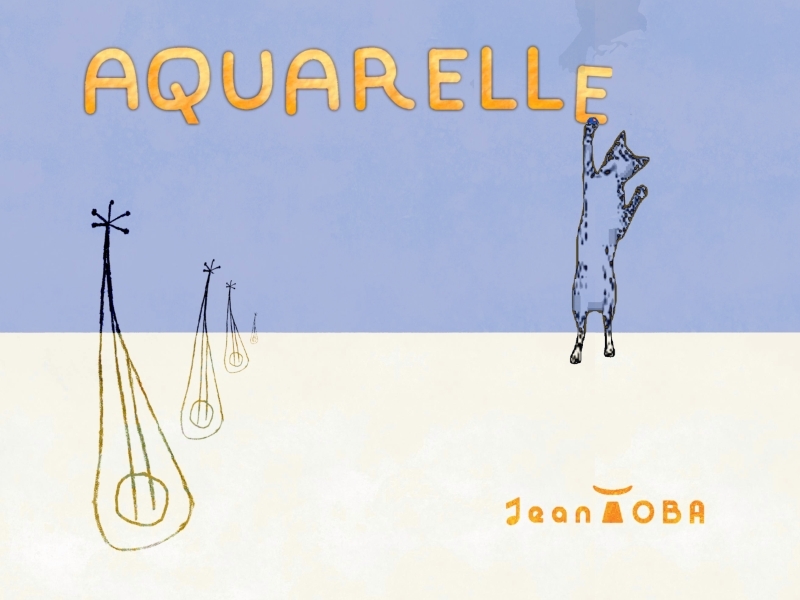 On the illustration of this music a cat player reminds me of my attachment to this domestic animal so endearing, so independent as I can be myself in the realization of this aircolor * quietly feline tempo. The cat has its place doubly here. First, in a visible way, on the image, where it relies on the last letter of the title. Then, know that my cat has directly participated in the composition of this feline opus. Indeed, while I was working on this composition, my cat FIFI, came to invite itself on the keys of my keyboard, producing notes here and there. I reproduced this audible and unannounced intervention, at the end of my realization, when notes are heard in the manner of my cat walking on my keyboard. The result is very remarkable and I thank my cat FIFI ! * term given by myself to designate a musical watercolor !